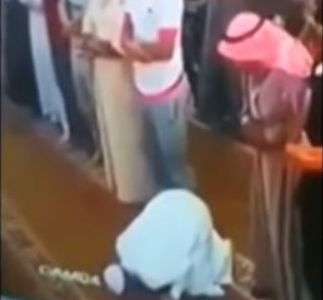 In the video that has gone viral on social media, the old man can be seen standing in the front row amongst other worshipers when he fell and remains in a bowing position. The elderly man was not moving for minutes in the same position till the prayer ended. However, the man sitting beside decided to raise him up but felt the man wished to be left alone.